Phase 2 of the Troubled Families program brings with it an increased amount of families to be worked with and more complex, locally generated criteria to set and then track. 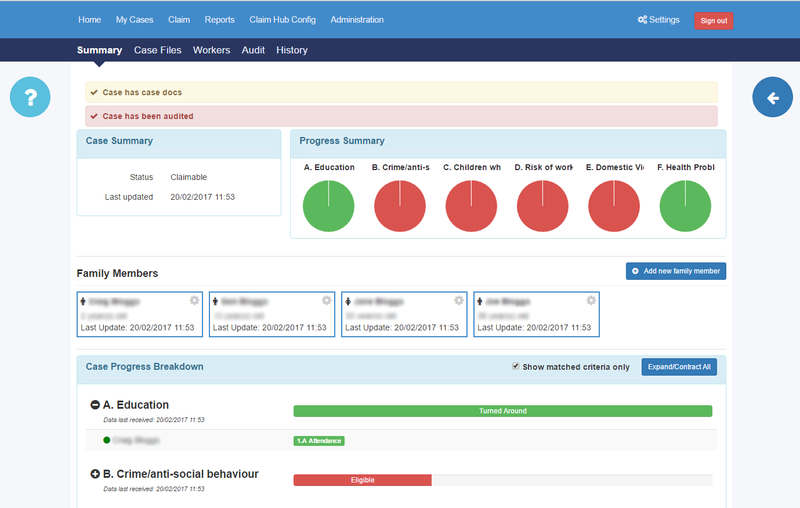 The Troubled Families Claim Portal is a separate but integrated portal, that is constantly being updated by the Data Hub, with families who meet the locally set Trouble Families thresholds. The system only brings across the cohort of families who’ve met the local thresholds, once in there the TF team would then review the families case and if appropoaite, would begin working with them as a case. 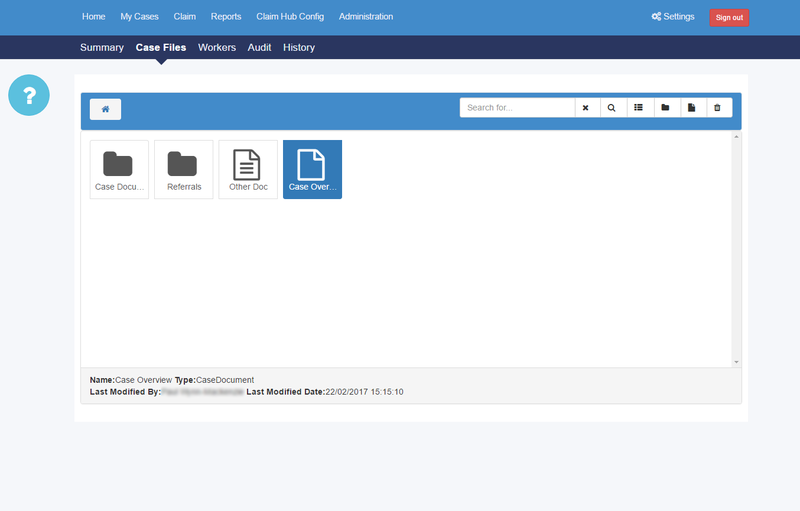 All case activity, meetings, information sharing, documentation etc can be stored in the Claim Portal, all of which can be used by its in built audit function, to prove case activity. 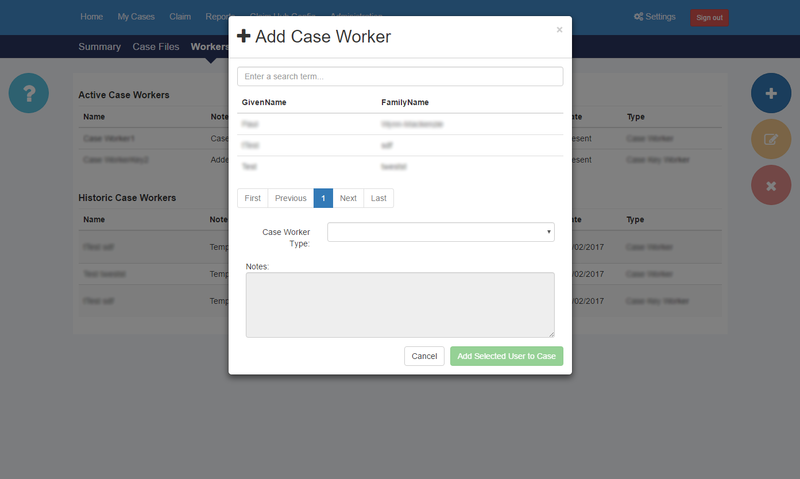 As the data refreshes from the information being regularly consumed by the Data Hub occur, for instance Child X from case Y has attendance increasing, this is then automatically shown against the case. 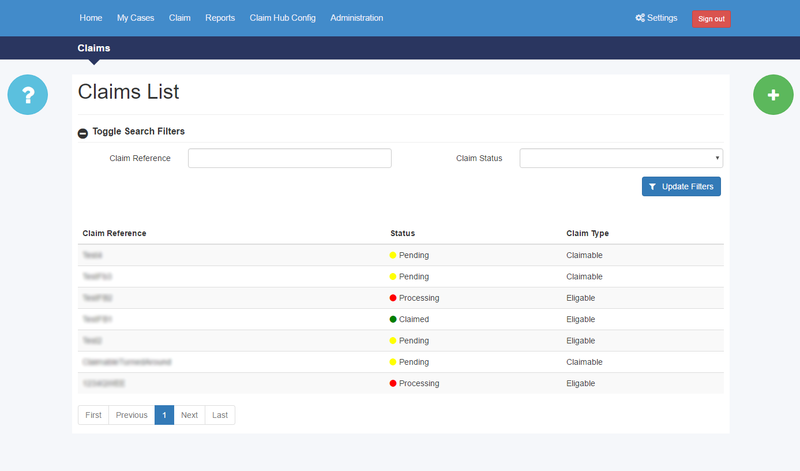 Once all criteria have been met, the dashboards and reports show families that are eligible for PBR claims. 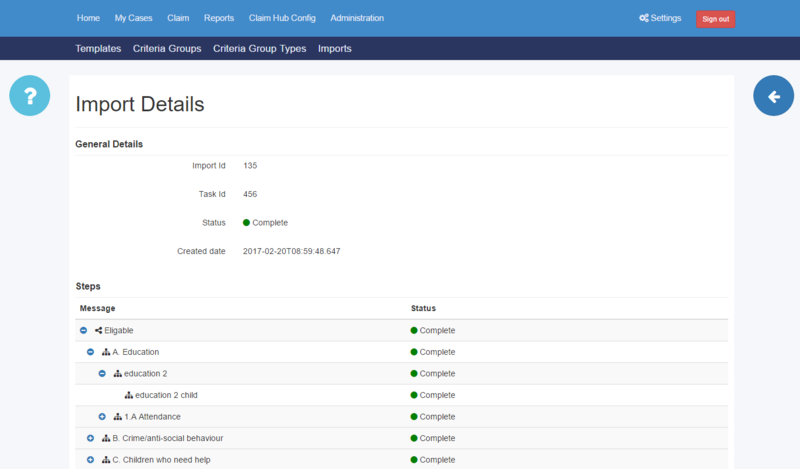 The whole process is automatically recorded for evidence of activity.